Clint O’Connor of the Akron Beacon Journal wrote of the film in October 2017. That giant airship in the sky, one of the most iconic elements of major sporting events, now has its own documentary. “BLIMP! 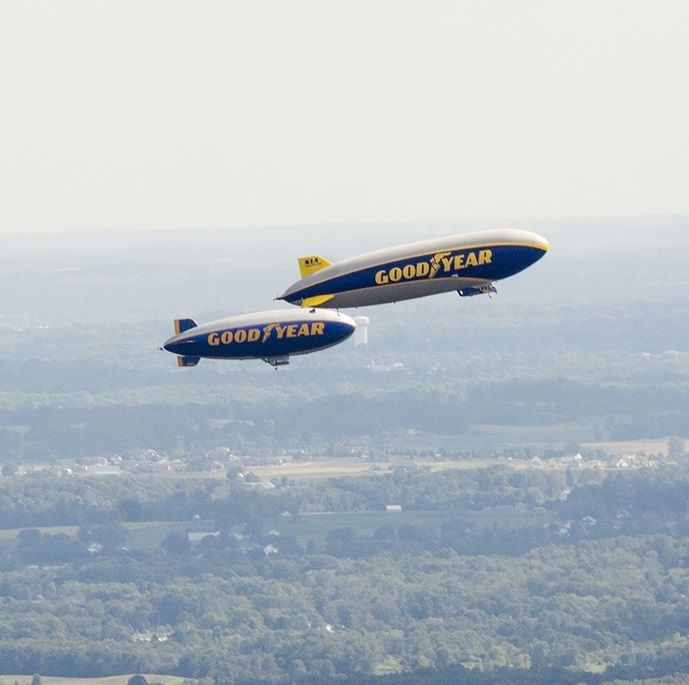 Sports, Broadcasting and the Goodyear Airship” presents a behind-the-scenes look at how the hovering ship became a regular at Super Bowls, the Olympics, the World Series and scores of other events broadcast worldwide. Produced, written and directed by Kathleen Endres, an instructor at The University of Akron’s School of Communications, the film is narrated by UA media and technology specialist Jon Endres, Kathleen’s son. Several other UA faculty and staff members also worked on the project. The music is by Akron musician Gabriel Schray, who is also the development coordinator for the Akron Art Museum. 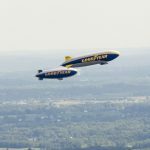 In addition to exploring the blimp’s origins, and those amazing overhead shots, the filmmakers looked inside one of the new Goodyear Zeppelin airships, which are built at the Wingfoot Lake facility in Suffield Township. NBC’s Al Michaels, ABC’s Robin Roberts and Mickey Wittman, considered the father of aerial sports broadcasting, also appear in the film. The official site offers the following information about this year’s annual event. We are excited to announce the nominees for the 2018 NATAS Lower Great Lakes Chapter Emmy Awards. (National Academy of Television Arts & Sciences). The chapter is among 19 regional chapters nationwide. Broadcasting elite from across the region will gather at The Crane Bay in Indianapolis, IN on Saturday, June 23, 2018, for our industry’s most prestigious honor, The Emmy® Awards. Attendees include General Managers, News Directors, Engineers, Producers, Directors, Anchors, Reporters, Editors, Ad Agencies, Webmasters, Photographers and Educators representing television stations, cable, satellite and communicators from across the Lower Great Lakes region. 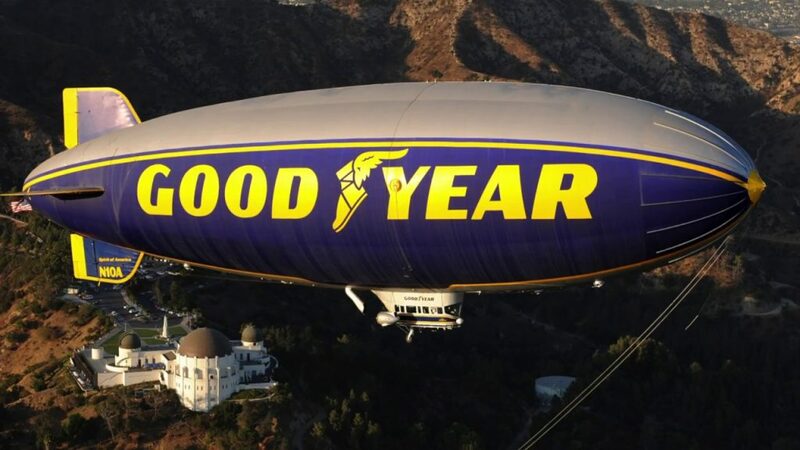 This entry was posted in Airships, Blimps, Movies, News and tagged Aerial TV coverage, airship, Al Michaels, blimp, Blimp NT, Goodyear blimp, Kathleen Endres, Mickey Wittman, Robin Roberts, Sports Broadcasting. Bookmark the permalink.